by Jules Verne Author · David Brin Author of introduction, etc. 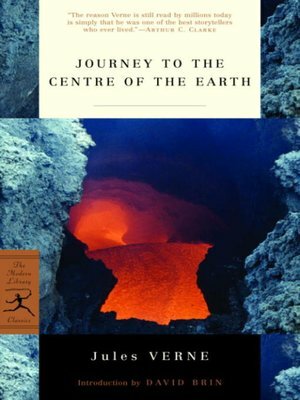 The intrepid Professor Lindenbrock embarks upon the strangest expedition of the nineteenth century: a journey down an extinct Icelandic volcano to the Earth's very core. In his quest to penetrate the planet's primordial secrets, the geologist—together with his quaking nephew Axel and their devoted guide, Hans—discovers an astonishing subterranean menagerie of prehistoric proportions. Verne's imaginative tale is at once the ultimate science fiction adventure and a reflection on the perfectibility of human understanding and the psychology of the questor. As David Brin notes in his Introduction, though Verne never knew the term "science fiction," Journey to the Centre of the Earth is "inarguably one of the wellsprings from which it all began."